I am the director of an $ 8 million - revenue infrastructure advisory team in the Transport & Planning Business Unit of Royal HaskoningDHV, South Africa. The team, comprising eighty professionals, is dispersed in three main centres - Johannesburg, Pretoria and Bloemfontein - and covers the northern provinces of the country: Free State, Gauteng, Limpopo, Northern Cape, North West and Mpumalanga. I offer a combination of contemporary leadership - one that is flexible and adaptable, while applying old-fashioned business principles, and intuitive management - one that is able to sift through voluminous and complex information to make quick, critical decisions. My ten (10) years of professional experience in the infrastructure sector has been broad, allowing me to develop into a well-rounded professional with the capacity to transfer my leadership and management capability into any sector or sub-sector. Relationships with clients and stakeholders (internal and external) is central to the success of any business. In line with this, I have developed an extensive network across various industries (in both public and private sector) in the following African countries: South Africa, Kenya, Tanzania, Uganda, Ghana, Nigeria and Zambia. 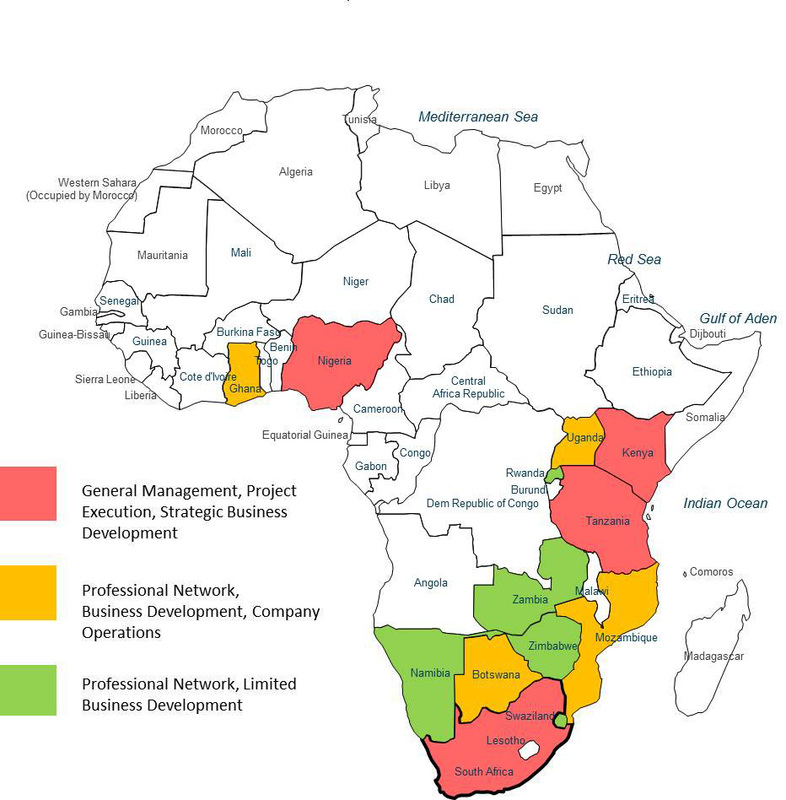 Beyond Africa, I have a well-developed professional network in the Netherlands, and to a lesser extent in India and Canada. As the director of the Northern Advisory Group of the Transport & Planning Business Unit, I lead a team of more than eighty (80) professionals in three main centres: Johannesburg, Pretoria and Bloemfontein. In addition to the above, I have driven the establishment of a new service offering - the rail service line - within the advisory group. This has included formulation of strategy, market research and most importantly, development of client relationships. International Business Development: Market Analysis, Strategy Formulation, Client and Local Partner Relationship Management, Tendering, and Marketing. As an Associate in the Transport, Aviation and Planning business unit, my primary function was to execute projects as one of the technical team members, under the guidance of a Project Manager and/ or Sector Specialist. Graduate and mid-level engineer in Traffic Engineering, Transportation Planning and Pavement Engineering. Through my years working in a multidisciplinary technical environment, and as the director of a demographically diverse team of 80 professionals, I have honed both my management IQ and EQ. I am able drive performance, without losing empathy, and promote team development, while still able to act firmly against poor performance or transgressions. I have transitioned various teams towards different values and behaviours in order to enhance performance. An example of this is my transformation of senior leadership team in the Northern Advisory Group, the management of the broader team's response to these changes, and the shifting of the team culture towards a high-performance, meritocratic one. I possess the capability to develop a network of clients, strategic partners and key stakeholders with the overarching objective of growing business for the firm. In this regard, I have developed a personal approach that seeks to differentiate between ego-driven business development activities which yield very little return, and authentic initiatives that translate to real business.